If you have never been on Safari in Africa, here is your chance to start the Safari virtually. I will not only take you to one of the most breathtaking water falls in the world, but also showcase to you its natural wonders and ecosystem. 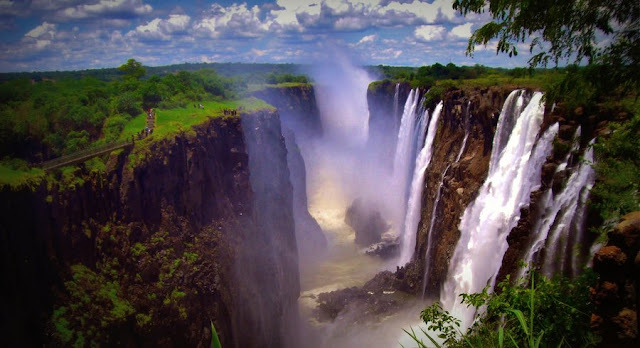 The Victoria Falls are formed by the rapids of River Zambezi that is mostly in Zimbabwe but a part of which meanders through Zambia. 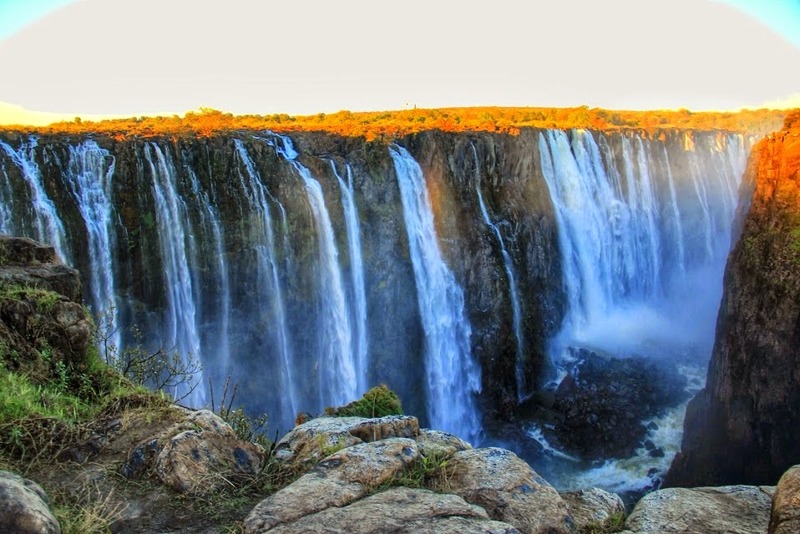 The Victoria Water Falls straddles both countries. Amazingly, the water falls are not the only thing that the two countries share. They also share a host of national parks. 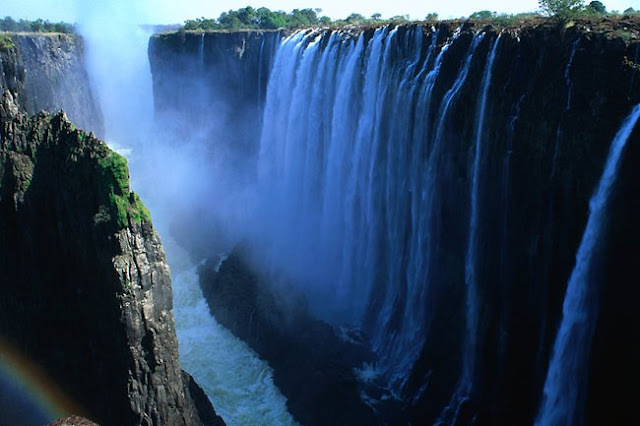 Below are a couple of facts about the water fall to get you started. 1. 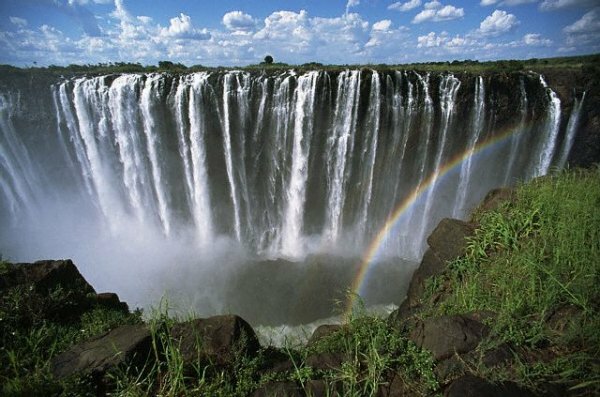 The spray from the falls make the River Zambezi Rain forest the only place that receives rainfall 24 hours a day, 7 days a week. 2. What is a Moonbow? Any ideas? 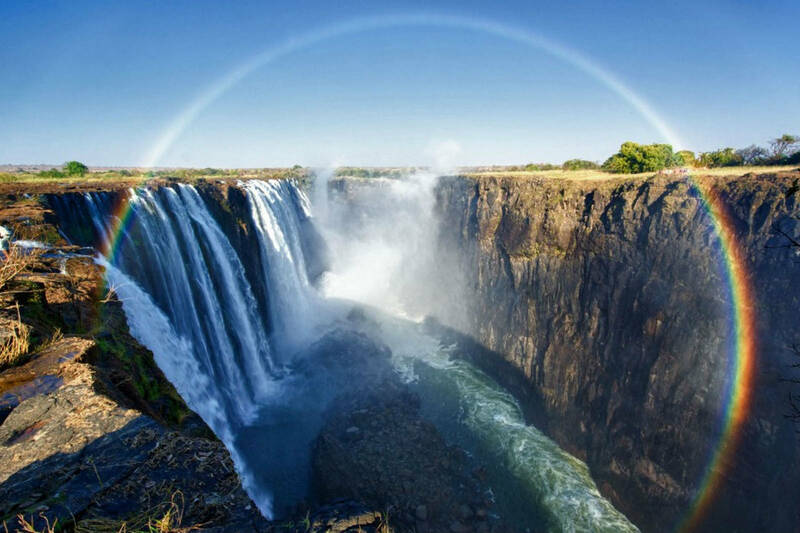 Well, it is the rainbow formed by the reflection of moonlight on the water. At night, you will see the light from the moon forming a beautiful rainbow on the waters of the Victoria Waterfalls. 3. During the months of September to December, tourists enjoy 'toying with danger' on the edge of the waterfalls at the naturally formed Devil's Swimming Pool. 4. River Zambezi, the river that forms the Victoria Water Falls is the fourth largest African River after River Nile, River Congo and River Niger. 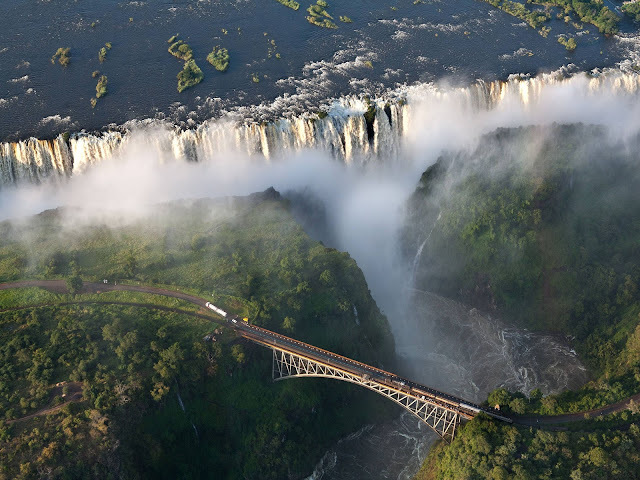 5 Although the most famous stretches of River Zambezi are in Zambia and Zimbabwe, the river traverses a whopping six countries that include; Zambia, Angola, Namibia, Botswana, Zimbabwe and Mozambique. 6. 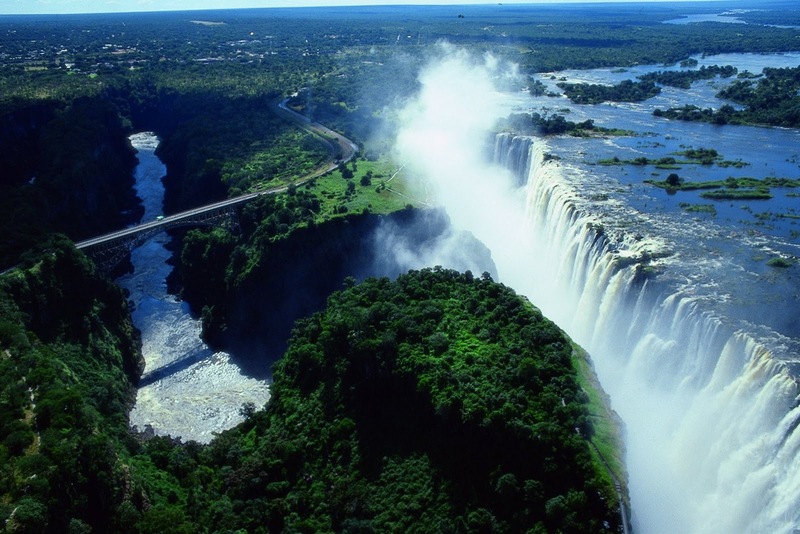 The Victoria Waterfalls seems to dissect the River Zambezi almost by two. It sits halfway the 1677 miles from the source to the sea. 7. 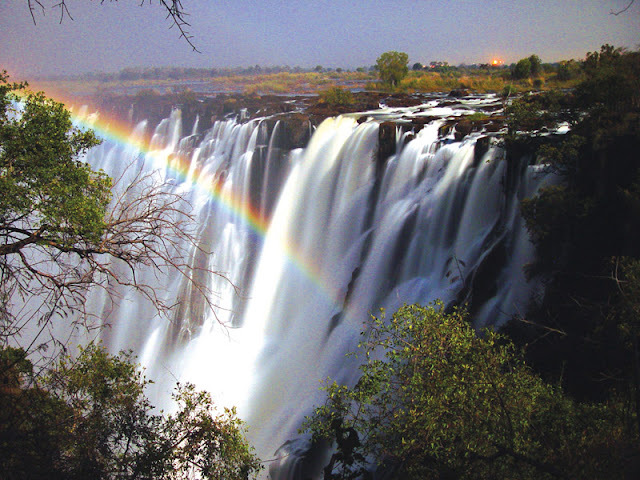 After all the factors are put into place; the Victoria Waterfalls are the largest in the world. They measure 5577 feet wide and varies in height from 262- 304 feet. 8. 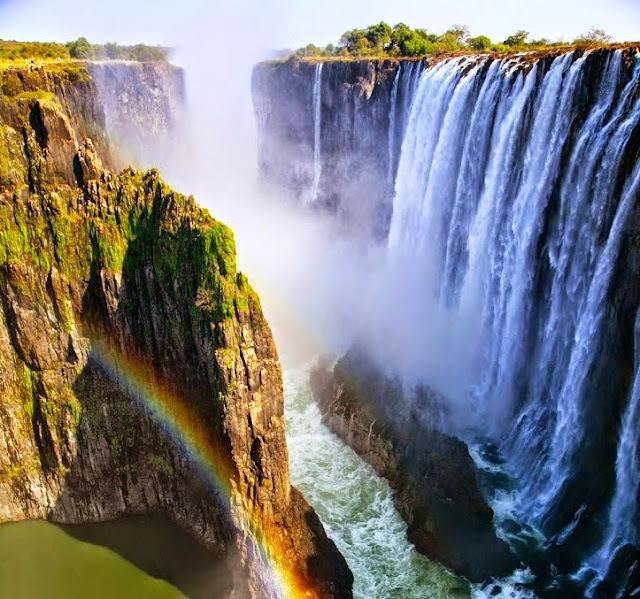 The first European to see the waterfalls was David Livingstone. In order to see the majestic waterfalls, he stood on a small outcrop christened the Livingstone Island that is on the edge of the waterfalls. 9. It is estimated that roughly 600 million cubic liters of water hit the ground every minute on the Victoria Waterfalls. 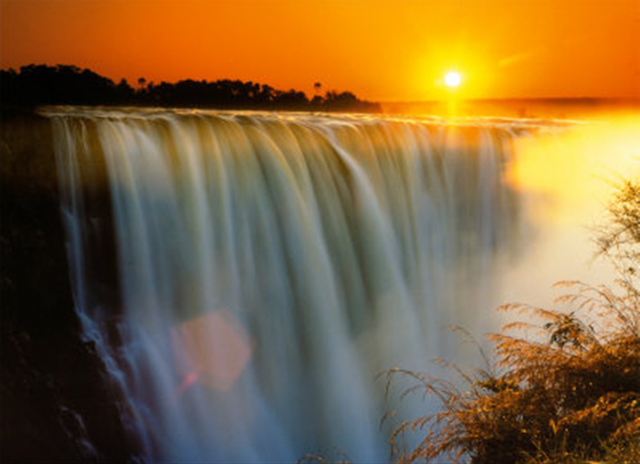 10.The highlight of your tour here, without a doubt will be swimming in the Devil's Swimming Pool. However, the flora and fauna here will also make your days merrier. Imagine seeing the Africa's Big Five within a 10 kilometers radius.